UEFA President Alexander Ceferin says he is not a politician, however his speech at the European soccer ruling body’s annual congress suggests otherwise. While eloquent in format and appealing on all levels and intent, there were some indications of scenarios whereby some change may occur on how the ruling body will manage things in the future and also within its own representation. In particular, the president underlined in two phrases the challenge that lies ahead for UEFA today. First he looked towards the federations. “We are an association of associations whose primary objective is to promote the growth of football in Europe”. Then, however, he opened up to change. Ceferin invited the federations and other football protagonists to be creative and “dare to think for the future in a different way” in planning UEFA’s strategy for the future. Recalling the role of “association of associations” Ceferin seems to be sending a reassuring message to the federations: all that we will do will be done without contravening the democratic rules based on the federations that have always guided the choices of UEFA. It is no coincidence that Lars-Christer Olsson, head of EPFL (European Professional Football Leagues) was appointed to UEFA’s executive board. However we must “think differently”. And be creative. The latest awarding of TV rights in England seems to have represented a moment of change in the economic dynamics of European football. On Calcio e Finanza while analyzing the situation we shared a tweet from professor Simon Chadwich of Salford University. In every other global industry, in recent decades we have seen industrial concentration (small number of businesses dominating large parts of the market) become the norm. Everything from where we drink our coffee to where we do our supermarket shopping. Football's not immune…. The theme of industrial concentration in football can only lead to one thing. It does not mean a merger of companies but a concentration of resources, of competitions. Furthermore: concentration of markets: the transition from 5 national competitions plus the Champions League to a lower number with a shuffling of the specific weight of each. The big clubs, in other words, could decide to concentrate in a larger European league with the aim of bringing their strength to the national level in terms of sponsorship and TV rights. The fundamental error of European football – compared to, for example, US sports – is that is founded on the centrality of the clubs, which give life to the Leagues, and not the contrary where strong Leagues who develop via the clubs their sporting and business project. In the USA the ‘sporting project’ is at a higher level (and therefore with more competitive balance) because it is regulated via rigid business mechanisms (drafting, salary cap, minimum salary, equal distribution of wealth from sponsors and TV) which allow for an even spending capacity. There is no coincidence that Andrea Agnelli is a big promoter of the Super League when discussing the future as he references the NFL. In this perspective UEFA can make one of two choices. 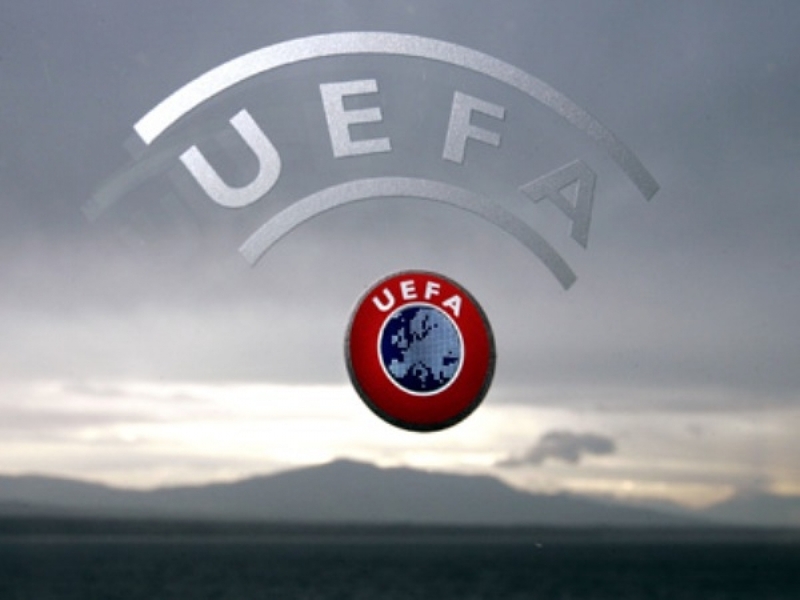 UEFA can remain conservative and continue to defend its model, based on cups in which teams participate based on the results of their domestic leagues. Like the Champions League, whereby the 32 participants are based on how they rank in the standings of their respective leagues and not the 32 strongest at a European level. Alternatively, promote a new European sporting model based on reforms. The first option may cause tension with the big clubs, a tension which, perhaps, does not convince them that participating in the Super League would mean renouncing significantly the domestic championship. That is, their history, tradition and national trophies which fills up their trophy cabinets and enrichen the championship. A difficult choice, although hypothetically more profitable. Starting from here UEFA can act an as a facilitator of a new system. Competitive, more sportsmanship, no longer based on the ranking of the associations but look more at the merits of each individual club. You preserve the domestic championships, re-evaluate them and join them in European competitions at a higher level, more competitive and economically palatable. Perhaps imposing, at that point, rules of redistribution – which Ceferin shows to have at heart – more convincing than those of the past, which have also made the fortune of many clubs at all levels. Without leaving anyone behind, in a logic of integration. A few months ago we hypothesized a scenario we called “pyramid of European football” thinking of a dual system: the birth of a proper division in european categories that joins the domestic football. The hypothesis is far from being up in the air. Ceferin says he can not guarantee that Steaua Bucharest and Stella Rossa can win the Champions League again in the future. However, he does not seem to have the intention to want to give up the guarantee of these clubs to have the right to participate. A right that today is guaranteed via the victory of the domestic championships. But that tomorrow could come via qualifying for subsequent categories, perhaps passing from a third level up to the first European level. Just like in the domestic championships where a club can go from Serie C to Serie A. The alternative – and Ceferin knows this well – is that within one, two or three cycles of TV rights in the Champions League, the European clubs organize themselves by creating their own league no longer based on merit of promotion and relegation but on a closed system of exemptions. In these cases the pragmatism of the good politician requires choosing the best way, not the ideal one. The future, not nostalgia. The impression is that Ceferin and UEFA can act as intermediaries and not have any powers to be the antagonists, in comparison to the desires of the big clubs. Moreover, upon closer inspection, the preservation of the centrality of the UEFA in respect to the clubs, has already been activated via the “UEFA Club Competitions SA”, which we hailed as “the new European Football League “, which in fact admitted an anomaly in its statutory constitution: for the first time the clubs (through the European Club Association (ECA) are at the same table as the organizers of the competitions. Starting from there Ceferin and UEFA can be the engine of that “new way of thinking” desired by the president. The alternative is the NFL of football. Perhaps, on closer inspection, it is in everyone’s interest that – without barriers and useless conservative conclusions – that this time the sport can triumph. Ceferin’s says that the road is not yet chosen, but in diplomatic terms conveyed the will of UEFA to remain central in a system that is fully aware of a necessary renewal.